The S&P 500 Futures are trading at 2,395.50 with a loss of -2.25% percent. Other U.S. stock futures are lower in pre-market trading for Monday, May 08. The Dow Futures are trading at 20,930.00 with a loss of -0.11% percent . The Nasdaq Futures are trading at 5,646.12 with a loss of -0.04% percent. U.S. stock index futures pointed to a flat open on Monday, with investors set to digest more earnings and moves in oil, on top of the news that a pro-European Union candidate had won the French election. On Sunday, centrist candidate Emmanuel Macron claimed victory in the French presidential election after securing around 66 percent of the vote, beating his far-right and anti-EU opponent Marine Le Pen. The pro-European Union candidate’s win was met with delight from global leaders, letting markets breathe a sigh of relief when it comes to the stability and future of the European Union. With investors having already priced in a Macron victory, bourses in Europe were under slight pressure. Meanwhile, Asia-Pacific markets finished trade mostly higher. Investors will also be keeping a close eye on two speeches by Federal Reserve members on Monday. Cleveland Fed President Loretta Mester is expected to be at the Chicago Council on Global Affairs’ Public Breakfast Program, to weigh in on the topic “From Main Street to Wall Street: Economic Growth, Monetary Policy, and the Federal Reserve”, while St. Louis Fed President James Bullard is expected to be at the Federal Reserve Bank of Atlanta’s 22nd Annual Financial Markets Conference. U.S. market indexes were mixed on Friday. 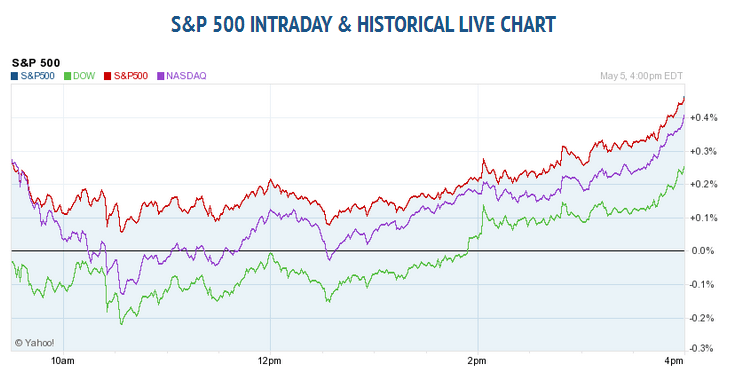 For the day the S&P 500 closed at 2,399.29 for up with +0.41% percent. The Dow Jones Industrial closed at 21,006.94 for up with +0.26% percent. The Nasdaq Composite closed at 6,100.76 for up with +0.42% percent. 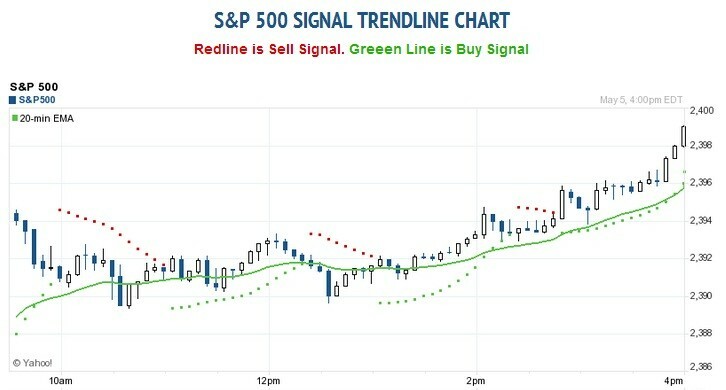 Other leading market index closes included the small-cap Russell 2000 Index closed at 1,397.00 for up with +0.59% percent; the S&P 600 Small-Cap Index closed at 848.96 for up with +0.47% percent; the S&P 400 Mid-Cap Index closed at 1,738.52 for up with +0.83% percent; the S&P 100 Index closed at 1,061.26 for a up with +0.27% point; the Russell 3000 Index closed at 1,422.28 for a up with +0.48% percent; the Russell 1000 Index closed at 1,330.23 for up with +0.47% percent; and the Dow Jones U.S. Select Dividend Index closed at 21,006.94 for up with +0.26%% percent. In overnight trading in the Eastern Hemisphere, Japan’s Nikkei 225 are trading at 19,895.70 for up with +2.31% percent. Hong Kong’s Hang Seng are trading at 24,577.91 for up +0.41% percent. China’s Shanghai Composite are trading at 3,078.61 with a loss of –0.79% percent. India’s S&P BSE Sensex closed at 29,926.15 for up with +0.23% percent. In Europe, the FTSE 100 are trading at 7,309.04 for a up with +0.16% percent. Germany’s DAX are trading at 12,684.73 with a loss of – 0.25% percent. France’s CAC 40 are trading at 5,377.59 with a loss of –1.01% percent. The Stoxx Europe 600 are trading at 393.49 with a loss of -0.27% percent.